Apple’s new iPhone might be tiny, but its battery packs a mighty punch. Early stress tests on the iPhone SE have revealed that battery life on the Apple’s new 4-inch device is actually better than the iPhone 6s as well as Samsung’s Galaxy S7. To see how well the new iPhone stacks up to its predecessors, Geoffrey Fowler at the Wall Street Journal put an iPhone SE review unit through a battery test and found that battery life has significantly improved from the previous model. “In my lab stress test, which cycles through websites with uniform screen brightness, the SE lasted 10 hours—more than two hours longer than both the iPhone 6s and iPhone 5s, and nearly three hours longer than the Galaxy S7,” writes Fowler. The iPhone SE’s simplified design is likely the reason why battery life is so good. The device’s 4-inch panel boasts an 1136×640 resolution which draws significantly less power than the 1334×750 screen found on the iPhone 6s. The lack of 3D Touch and other features also helps improve battery life, even though the iPhone SE has an A9 chip. 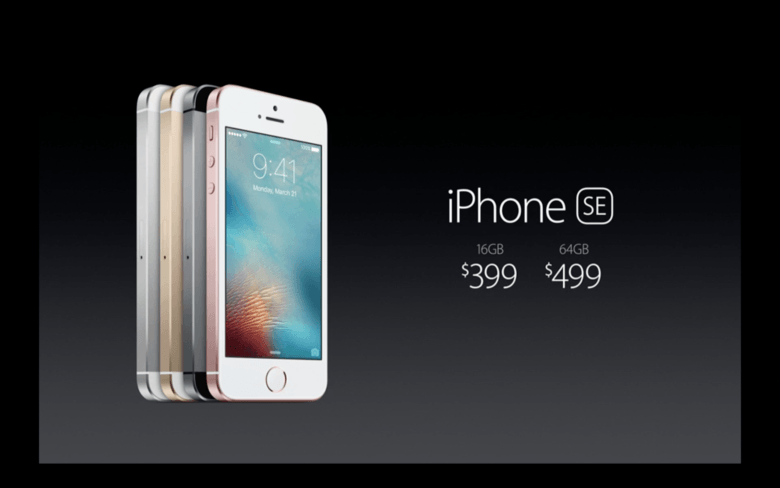 Pre-orders for the iPhone SE went up at 12:01AM this morning. Apple Stores will start selling the device on March 31st, with prices starting at $399 for the 32GB model and $499 for a 64GB unit. This entry was posted in Apple news and tagged iphone, iphone 5S, Iphone 6, iPhone 6S, iPhone rumors, iPhone SE. Bookmark the permalink.